The Prime Minister Hon. 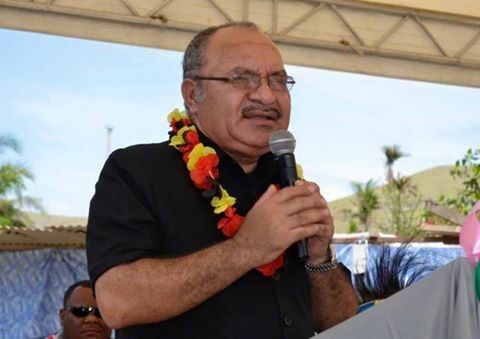 Peter O’Neill , has opened the Evegima United Church at Joyce Bay in Port Moresby, a project that had been initiated by former Prime Minister, the Late Sir William Skate. PM O’Neill said at the opening ceremony on the weekend that he is pleased to see that the partnership between the Government and churches continues to strengthen communities. “The Government’s church partnerships are amongst the best policy directions that we have in spiritually and physically developing our country,” the Prime Minister said. “I want to commend the churches for the great work they have done in educating our people, preaching the gospel and creating peace and harmony in our communities’’. “I thank the United Church here in our region, that has been supporting the communities where government services has been lacking for many years. “We further congratulate the Evegima United Church and its congregation for recognising and continuing the legacy and good work of my Brother, the Late Sir William Skate. The church building was completed after the Member for Moresby South, Hon Justin Tkatchenko MP, used K300,000 from his District Services Improvement Program (DSIP) funds to help build the church and erect general fencing around the church area. “We are strongly investing in health and education, and the DSIP program grants are being used to build the infrastructure that we are building right across the country. “Some critics are complaining that we are borrowing money. “But let me say this, we are borrowing and spending that money on the right projects and programs. “These projects have the greatest impact on the lives of our ordinary people. “If we are building infrastructure, and if we are educating our people and the people are getting the basic health services, that is an investment at the right time and in the right place. “We can afford these kinds of loans that we are getting. “This is helping businesses and increasing investment and building the economy of our country’’, the Prime Minister said. “That is why I say the good Member for Port Moresby South electorate, Justin Thatchenko, and the NCD Governor Powes Parkop are doing great work. The District Services Improvement Program-DSIP is a major policy intervention to make funding easily available to for significant programs in the districts of the nation.